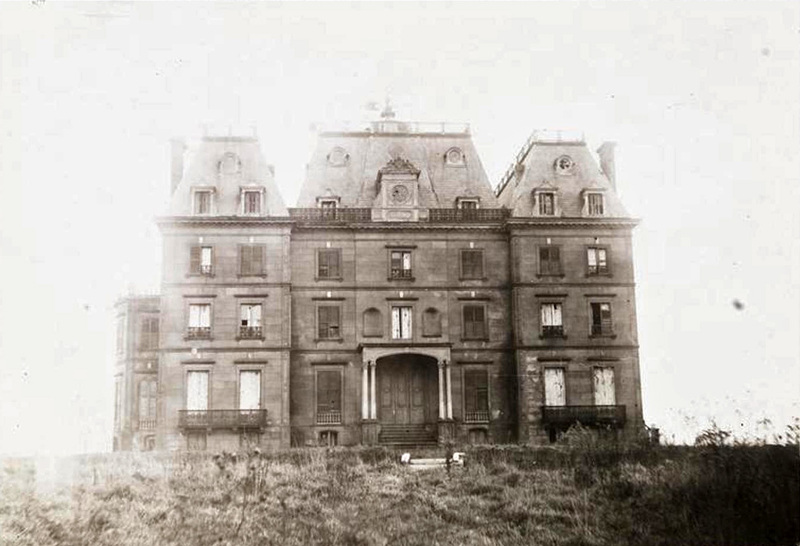 Once located on the southeastern tip of the Bronx, this mansion was built by Benjamin Morris Whitlock in 1859. Sitting on a fifty-acre estate, the structure boasted a hundred rooms and was said to have cost $350,000 (about $9.5 million in 2016). The entrance to the grounds featured a drawbridge and a large iron gateway operated by hidden springs that would seem to open magically. A labyrinth of wells, tunnels, and wine cellars snaked below it. This entry was posted in Uncategorized and tagged 1910's, 20th Century, Architecture, New York City, Photography, USA. Bookmark the permalink.